The Lantern reviews new movie musical, The Greatest Showman. Bearded ladies, acrobats, and other various acts are often associated with a circus and were displayed in the musical movie “The Greatest Showman”. Highlighting hardships that the ‘oddities’ had to face and the ability to work through all of the hatred coming from the townspeople gave this movie a more realistic story because it emphasized on the discrimination towards the circus acts that weren’t normal. The man who had the audacity to start up a circus was P.T. Barnum, a poor man whose inspiration came from his daughters and supportive wife. Throughout the town, he searched for unappealing characteristics that were unique so that people would come to see the show. After his crazy and risky idea, the circus was a hit to some, however, others responded with riots. Even though the shows were successful and gained a lot of money, Barnum wanted to give the audiences something real instead of the exaggerations he had been using. For example, a 500 pound man was labeled as 750 pounds, a man with hair all over his body was identified as “dog boy”, and Barnum put the tallest man on stilts. In his search for the real deal, he found Jenny Lind, a famous opera singer- who didn’t actually sing opera in the movie. This opera singer eventually caused problems and a rift formed between the circus actors and Barnum once they realized that he was more interested and invested in fame. While Phillip Carlyle (Zac Efron), continued to run the circus, Barnum went on tour with Jenny Lind which ended up having some unfortunate results for them. While I really enjoyed the music, the songs weren’t the type of tunes that I would associate with a circus. 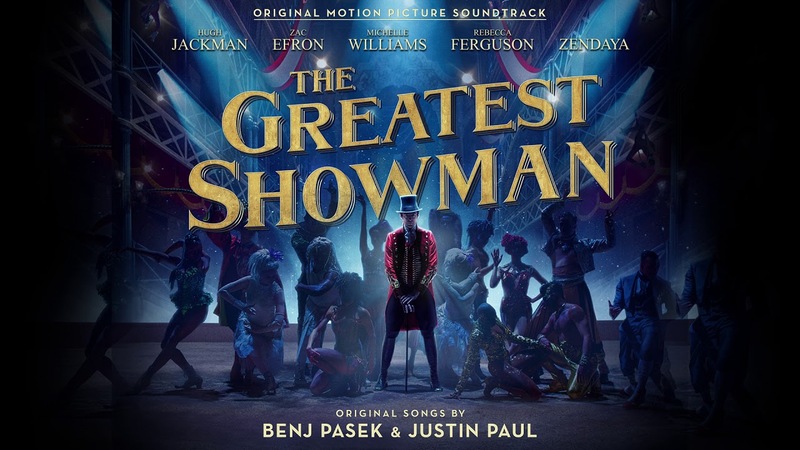 Although I’m happy I didn’t have to listen to circus melodies, the inspirational pop songs didn’t really fit that well with the circus setting of the movie. This wasn’t bad except I didn’t enjoy the opening scene and beginning of the first song which included feet stomping on bleachers while Hugh Jackman sang. This part started out sounding kind of cheesy which had me nervous about how the rest of the movie was going to be but, everything improved from there. It was also upsetting to see P.T. Barnum, the amazing actor Hugh Jackman who played every part and scene with authentic emotion, obtaining everything he could have possibly imagined and then greedily wanting more. Overall, the songs were really catchy and inspirational and the movie was unique because it was a musical. This made it really enjoyable to watch along with the fact that all of the circus characters looked so different and exotic. It also had a lot of life lessons in it like money and fame aren’t everything and that you need to appreciate the people around you. The biggest lesson was brought to light by James Watson which was that “no one ever made a difference by being like everyone else.” He also stated that “The noblest art is that of making others happy.” With this newfound realization, Barnum was able to finally become what we all thought he would, the greatest showman.